We would like to kindly thank you for all that you have done for us. Before we came to you, our dog Jake would go potty in the house all the time, no matter how often we would take him for a walk. But you changed all that. Your immense knowledge and skill in dog behavior and obedience training, plus your invaluable understanding of all dog breeds, allowed our Jake to be properly trained not to go potty in the house anymore. We also like how well behaved he now is, and the fact that he can actually sit, lay-down and heal at command. I just wanted to express my sincere compliments and gratitude to you for your outstanding services you provided to me. Your sales-team was very helpful and well-mannered, they made me feel very welcome at your facility. They knew how to answer all my questions pertaining to the products I was interested in that you offer and sell. And your trainers were equally nice, patient and knowledgeable. I am most certainly going to sign-up for your group classes for obedience training with my German Shepherd Luthor. I know it will be a great experience for both of us! So see you next Saturday! Thank you for having provided me with such outstanding customer service the other day! I am more then pleased with the German Shepherd puppy you sold to me. I named her Freya and she already has made best friends with my two cats, Snow and Katie. I wish you all the best and I will see you this upcoming weekend at the puppy group class. Take care till then! I wanted to personally thank you for having provided me with such great customer service. I received the merchandise yesterday and I am honestly very impressed at the fact how expeditious the delivery was. Everything is in perfect order. You were not exaggerating when you informed me over the phone on the high quality of your leather products. I am quite pleased with the collars and the leashes I purchased from you, not to mention the training-suit, which is just of such fine quality. I am looking forward to doing future business with you. Superb quality merchandise and the finest customer service one could ask for. Thank you. We just wanted to drop in and give you our thanks. The two German Shepherds we bought from you -Ludwig and Wotan- are just marvelous and so well trained and behaved! Debbie, my wife, feels so happy and relieved, now that we have two fine Shepherds trained to protect our home and family. And of course I am happy as well. Ever since our home was broken into 2 months ago, my family and I have not felt save. But thanks to you, we feel safe at home once more. Ludwig and Wotan have already made themselves at home and they are alert anytime they hear someone walk by outside our house. And they are so good with our two children. Debbie and I love how well they play with our little ones and how protective they are over them. Thank you so much! I'd like to state that I am very satisfied with the way you do business. You have excellent customer service and support and your training staff reflects great experience and knowledge in dog training of various kinds. I am glad to have signed-up for the Saturday group classes, and at this point I would not consider going anywhere else. Keep up the good work. Thank you for the great customer service I was given. I am more than satisfied with the Kennels and training equipment I purchased from you. I am especially pleased with the quality of the leather of your harnesses and training-suits, as well as the collars and leashes. The Kennels are of the finest wood I have seen and the craftsmanship is just outstanding. I love how simple it was to assemble the Kennels. I am looking forward to doing more business with you in the future. 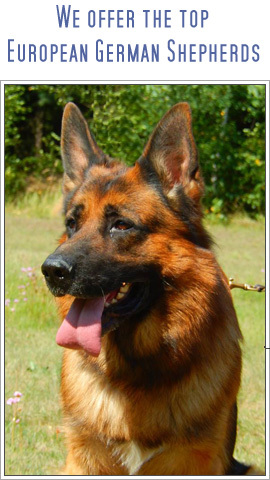 Thank you for having sold to me such a well-trained and affectionate German Shepherd. Ever since I lost my German Shepherd Misha (as you remember - when I told you about her while I was down in FL - how she died from cancer), I never thought I could find another loving dog that would make me happy again. But your proved me wrong. Yano is such a loving and sweet dog! I feel safe with him around my home. Though no dog can truly replace my Misha, I know that Yano will protect me and be there for me. Just a quick letter of appreciation, expressing my gratitude for all the advise I was given and how well I was treated as a customer at your facility. I am very happy with Sandor and I am glad I decided to buy him from you. I have never seen such a well-trained and well-behaved Rottweiler before. 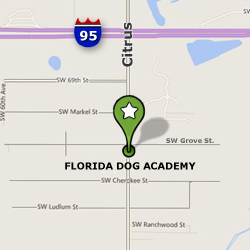 I recommend for anyone looking to buy a dog, to visit your Florida Dog Academy in Palm City. You treat customers well and provide excellent service and you carry the finest breeds of dogs around.